Natural Gas and Oil pipelines differs much in the operational process, even if they look the same on the outside, perform similar service and are governed by same laws of physics. The installation process remains quiet the same, as well as regulatory and social issues such constructions provoke. 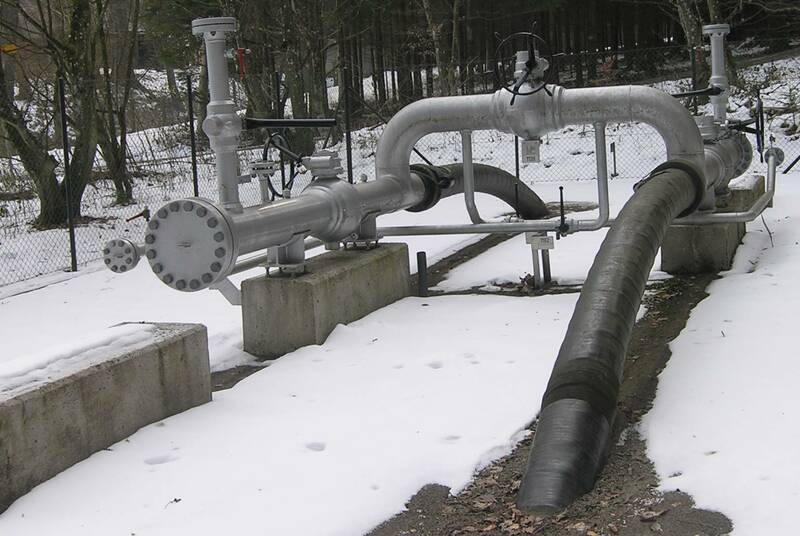 We can generally discern natural gas pipelines, crude oil pipelines and refined product pipelines. They are often governed by different nomenclature during the operational process. At the same time operations of oil pipelines, chemical liquids pipelines, natural gas liquids (NGL) pipelines and liquefied petroleum gas (LPG) pipelines are largely alike. Industry classification also distinguish between Crude oil gathering lines and Crude oil main lines among oil pipelines. Pipeline value chain we can trace back to the oil patch, where physical oil is extracted from underground reservoirs, either in mixed streams or separately. If the strean at the stage of a wellhead is a mixed stream, field separators at the well sites channel it further as an oil and gas. Oil gathering lines are made from 5 centimeters to 30 centimeters pipe. Starting at the production field tank battery which is an aggregation of smaller tanks and then via pipeline (or even a truck) to so called gathering station, aggregation of larger storage facilities. The gathering station aggregates is a point in a value chain that mix crude from various sources. It is typically situated by a crude oil main line and has a pump facility to inject the crude oil into the main line. Gathering stations might be situated not only at the beginning but also along the main line. Main lines are build from at least 20 centimeters pipes. What deserves a remark, when the gathering station is build along a main line and if crude oil injected considerably differs in type from the one already flowing, the pipeline can be stopped upstream and a portion of crude can be injected as a separate batch. Then it is being tracked as it goes and can be delivered to separate customers or segregated storage facilities at the designated destination. Oil is also delivered to the main lines at regional storage tanks and marine off-loading facilities. At the delivery side, pipelines deliver to the range of facilities as mentioned before (in an incjection point “category”). They are also an important source of deliveries to the refining plants. Physical crude oil pipeline ends at the point of oil refinery and at the next stage transforms into refined products pipeline value chain which ends subsequently at petroleum products terminals, a gathering of large storage facilities near final product’s consumers concentration. Find out about physical commodities trading companies.